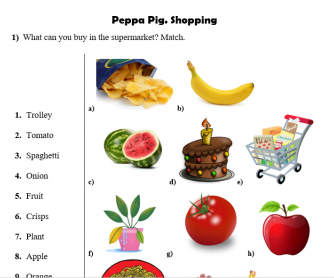 This worksheet is based on 'Peppa Pig' cartoon episode. It was made to revise modal verb CAN. It may be used to speak about fruits and vegetables, quantity and shopping. It will take about 30 mins to watch the episode twice and complete all the exercises. Movie Worksheet: Peppa Pig. Shopping. 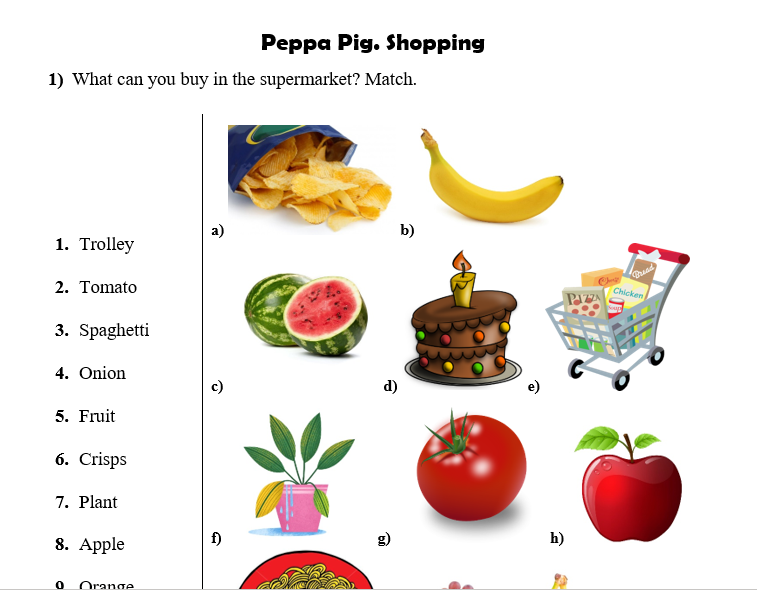 Video Worksheet: Peppa Pig. Pancakes.